Owned & operated by Kurt & Jennifer Sidenbender. 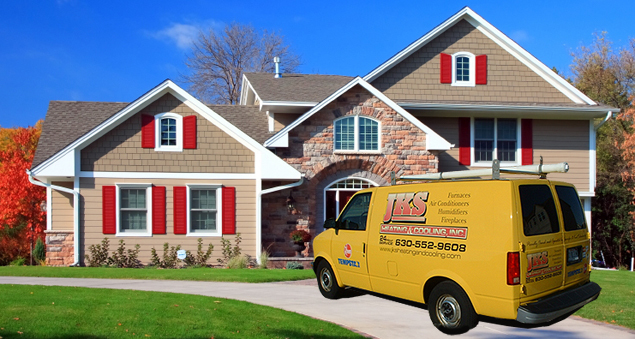 We are a full service company located in Plano, Illinois. We're a small family company which helps to keep our prices low. Deal directly with owners. We ahve been in heating & cooling industry for 15 years. We provide free estimates on any new instalations. We're insures & certified. We offer TRUE 24 HOUR SERVICE. As based on research from Consumer Reports, there is NOT much difference in reliability between different brands of furnaces. What matters is how well it is INSTALLED and SERVICED, which is OUR #1 PRIORITY! We are a Tempstar Authorized Dealer. Tempstar has been offering reliable equipment for almost 30 years. The only company with a furnace that has a stainless steel front. It is the #1 furnace in California(ICP Products). Tempstar products all come with 10 year warranty on parts. Lifetime warranty on heat exchangers. An unheard of NO hassle Replacement Warranty for up to 7 years. For more info on tempstar products, see heating and cooling sections or visit Tempstar.com. Call us today to find out more or fill out our no obligation free consultation form above!